Weld Screen PVC Strip Doors are a great way to section off a welding area in your workspace. They help protect workers from some of the dangers associated with welding, such as spatter, sparks and UV light. There are a number of different options for welding strip doors that you can choose from, such as material types and hardware. 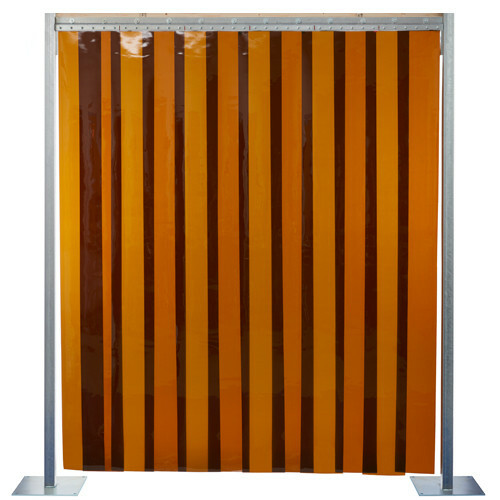 Strip doors made of weld screen material are designed to increase safety in the workplace. Please keep in mind that while these strip doors help block UV rays, they are not a substitute for approved eye protection.